$225. Vintage Hollywood glam round mirrored small coffee table, c. 1960. 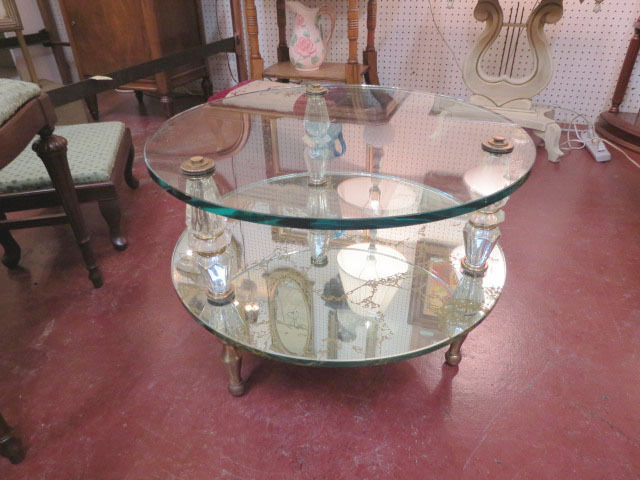 2 tiered coffee table with .5in thick glass top. 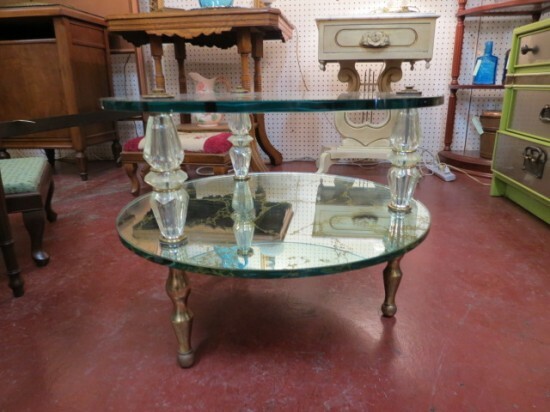 Mirrored, marbleized bottom tier connected with glass pillars with brass trim. 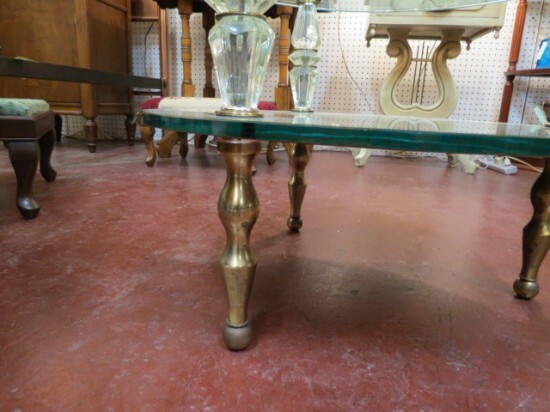 Shapely brass legs. 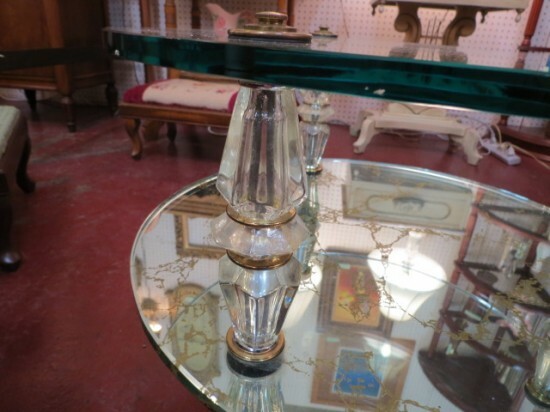 Perfect for a small space! 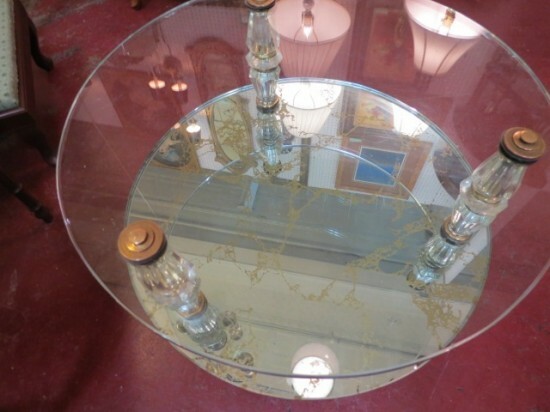 Add some glamour to your living room. Very good condition. 22in wide, 15in deep, 29in tall.